Number 13 is the house on the right in the above photograph. The 1840 Tithe Map shows that Luke Withers owned three properties on the areas numbered 239 and 240 which are now known as 11,13 and 15 St John St, and that he was living in number 15 which is referred to as ‘a house and garden’. The other two properties were described as two ‘houses and courts’ occupied by Martha Allen and Susan Watkins. We guess that it was Martha Allen who lived in number 13. The term ‘court’ suggests that there was just a little courtyard at the rear, and no garden. The indenture also appears to suggest that James Withers had a mortgage from John Withers Bevan and that the two of them were leasing the properties to Thomas Smith of Henbury, yeoman, for a period of one year. It was standard practice to lease for one year as a first step in the purchase of a property. 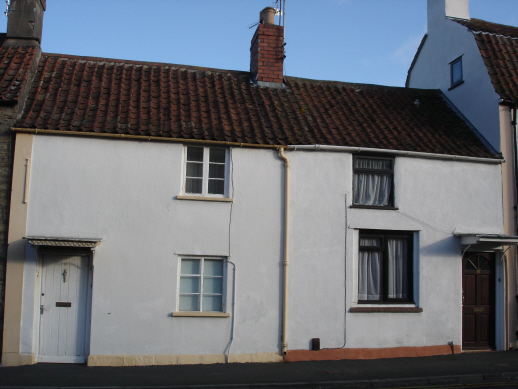 In this case however it would appear that the sale was not completed as the houses were owned by Luke Withers in 1840. Luke Cullimore died on 28th April 1917 aged 71. In his last will dated written in 1901 he had given his property in trust for the benefit and use of his wife, Amy Lucy Cullimore and after her death it was to be sold by his trustees. Mrs Amy Lucy Cullimore died on 21st December 1925. The Trustees were Arthur Daniel Cullimore of 179 Westbourne Grove Bayswater London butcher and Wallace James Cullimore of Exton House, Second Avenue, Hove, Sussex, retired officer of the Merchant Service. Frank Tucker died on 7th August 1937 and put his property into trust for the benefit of his wife Alice. His Trustees were Norman Frank and Ronald George Edward Tucker, builders and Frederick Thomas Sainsbury, house decorator. We understand that the house was next owned by Jack Hodges of Castle Street and then he sold it to Miss Joan Higgins of 13 Pullins Green. Neither of these people lived in the house – they used it to house tenants.